If you’re a research student, particularly on a longer programme like the doctorate, it can be unclear where the lines of “work time” and “holiday time” are drawn. Sometimes, “work time” involves procrastinatory Facebooking; but by the same token, “holiday time” can involve lots of work-related reading and stress. With Christmas / New Year coming up, there’s some enforced holiday time coming our way. At AUT, the university physically shuts down for 3 weeks – the closedown this year is from Saturday 19 December to Sunday 10 January. Campus libraries will be shut, there will be almost no staff around, and unless you have an all-hours access card to a postgraduate study room or lab, there will be nowhere to work. We all need time off; it’s necessary to avoid burnout and stay productive during the rest of the year. As we’ve written before here at Thesislink, research students are entitled to leave just like any other worker. So treat the whole 3 week shut down as a holiday, if you like. Even if you do plan to work over the holidays, make sure you have some time off mixed in. The university shut-down can provide a handy opportunity to take up short-term work. For those pursuing their doctorate on a shoestring, a brief temping assignment is a popular summer option. Housesitters are also in hot demand at this time of year, and looking after someone’s home / pets can be a mini-holiday and a nice little earner or rent-saver all wrapped into one attractive package. A giant pile of thesis reading is somewhat less daunting if you’ve got the time and space to tackle it. Or just read old copies of trashy magazines for 3 weeks straight. No judgements. The university break coincides with school holidays and with many corporate office closedowns, which means that often our family members are free at the same time as us. Even if you’re studying a long way from home, the December / January break allows a good amount of time to head home and put in some quality family time. Of course, depending on your childcare responsibilities, this may interfere with your ability to do option 1. Some academic work isn’t easy to accomplish when you’re mired in the day-to-day; but a bit of a break provides the space to do it. Some researchers use the holidays to adapt their work for publication – a thesis chapter becomes a paper, or an abstract takes shape. You could also shop around for next year’s best conferences. Alternatively, use the time to optimise your online life for research: set up RSS feeds and Google alerts so that you’re getting the latest news on work in your field, subscribe to listservs related to your discipline, get an ORCID identifier, and build profiles on ResearchGate, Academia.edu, and LinkedIn. Ride bikes. Binge on Netflix. Watch trains. Knit. Go paragliding. Sculpt a masterpiece. Sing karaoke. Bake cakes. Lace up your running shoes. Ride a hovercraft. Do jigsaw puzzles. Watch cute babies rock out to heavy metal on YouTube. Whatever floats your boat. A little time off can help to switch your focus from the nitty-gritty everyday detail of research to the big picture. Try putting your thesis aside entirely for awhile, then looking at the whole thing. Read your original proposal with fresh eyes – are you progressing with what you promised? Review your chapter structure – does it make sense? Read the first paragraph of each chapter – does each one sound like part of a whole? The ultimate Kiwi summer activity. 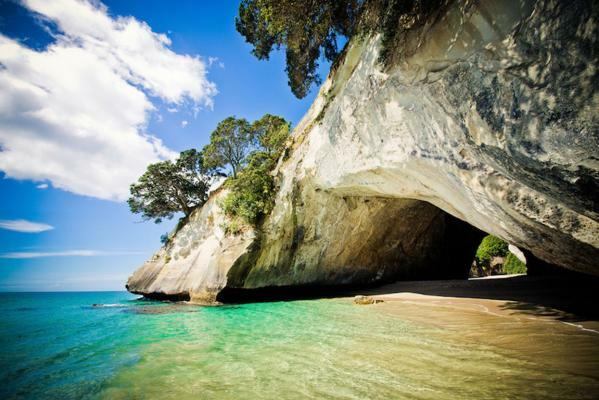 With this beauty just a few hours’ drive away at Cathedral Cove in the Coromandel, why wouldn’t you? Sunscreen essential, thesis reading optional.